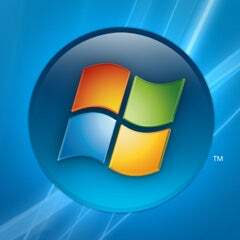 Microsoft's upcoming Windows 7 might just be the salve to soothe Windows Vista ouchies, but what Windows fans really want is something that hasn't yet been announced. Mary-Jo of All About Microsoft says that internally, there's a project called Singularity that's designed to solve all kinds of shortcomings in current operating systems, upending the traditional way of thinking in favor of something dramatically different. And while Singularity won't be released to the public, Midori, which takes a lot of cues from it, will. "There's a seemingly related (related to Singularity) project under development at Microsoft which has been hush-hush. That project, codenamed ‘Midori,' is a new Microsoft operating-system platform that supposedly supersedes Windows. Midori is in incubation, which means it is a little closer to market than most Microsoft Research projects, but not yet close enough to be available in any kind of early preview form. "What's also interesting about Midori is who is running the project. One-time Gates heir-apparent Eric Rudder is heading up the effort. Midori is being incubated under Chief Research and Strategy Officer Craig Mundie's wing. ‘Everyone under him (under Rudder on Midori) is a multi-year vet, has a super fancy title, and is going back to their roots and writing code like they probably did in the old days,' one Microsoft tipster told me.